Enjoy Single, Double or Triple scoop serving sizes. 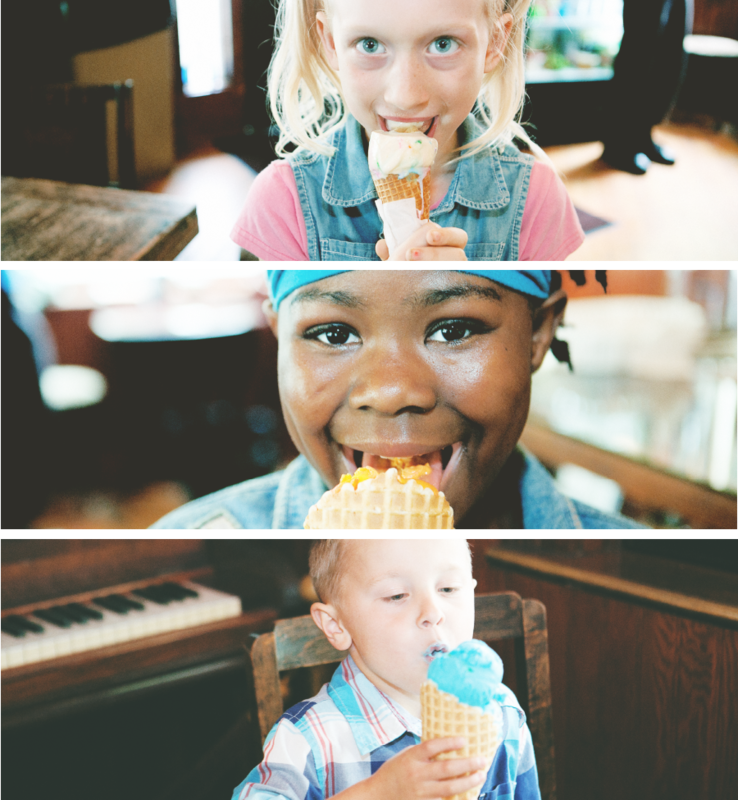 Mini scoops are available for those with smaller appetites. Sugar-free and dairy-free options are available. Add whipped cream and cherries for extra fun! We have a selection of made-fresh cookies and baked goods plus individually wrapped candies that will satisfy all cravings. Made with fresh ingredients and baked daily in our tiny kitchen. Our selection changes daily and seasonally. Contact us to find out what’s new and fresh. Each of our individually wrapped candies are sweet, flavorful and fun. Grab a handful of our hard candies or lollipops and enjoy them throughout your day. 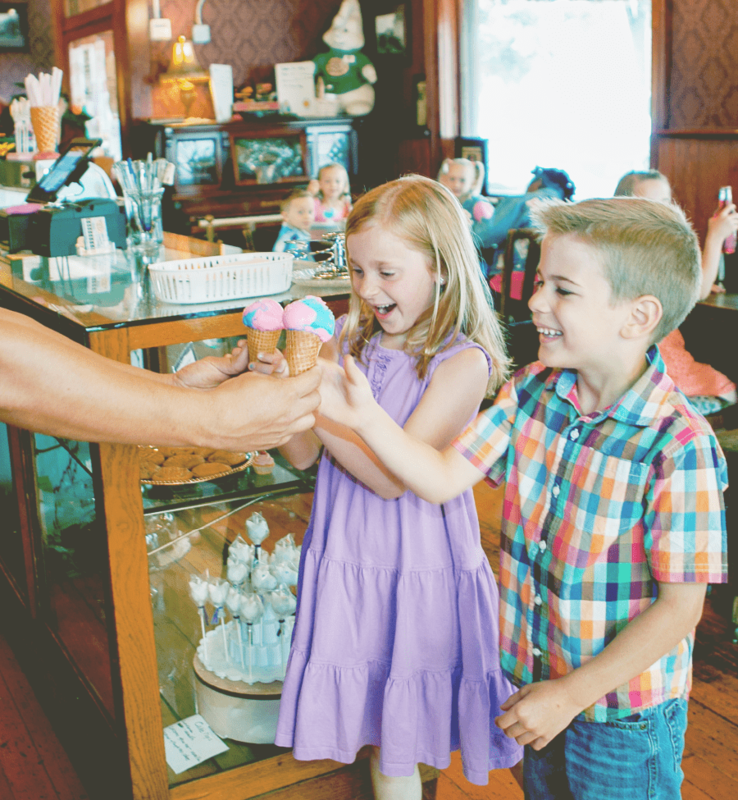 Serendipity Ice Cream was established in 2000 as an MV Advancements integrated work environment. 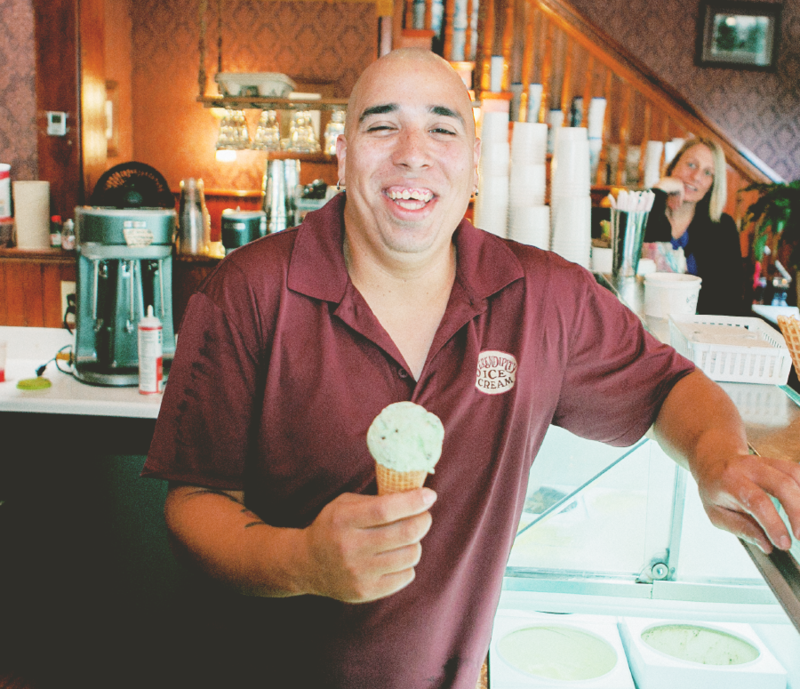 The ice cream shoppe provides workplace experience and job training for adults with developmental disabilities. 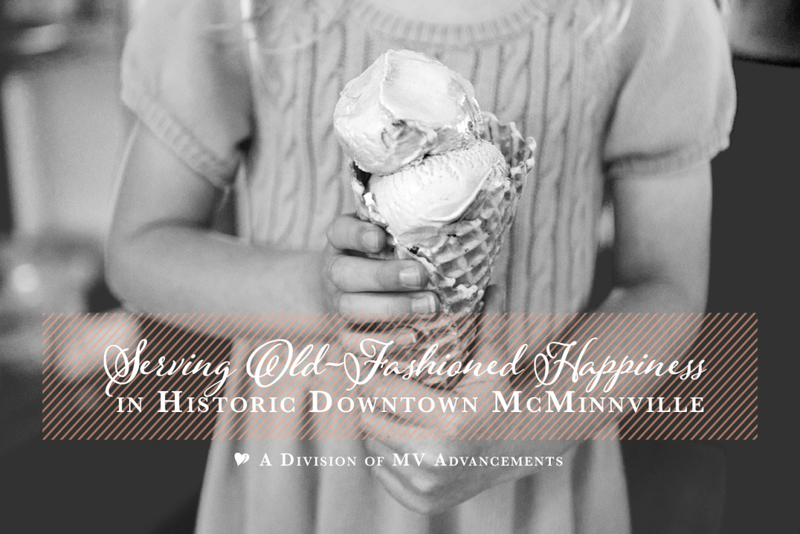 Serendipity employees bring an unprecedented enthusiasm and dedication to the parlor and to downtown McMinnville, and the community responds in kind. MV Advancements was founded in 1966 as Mid-Valley Rehabilitation by Margaret Reavis Larson. Her pioneering goal was to provide employment options for adults with developmental disabilities, an unusual idea in that era. Today, MV Advancements provides employment, residential and community inclusion services to more than 300 clients. 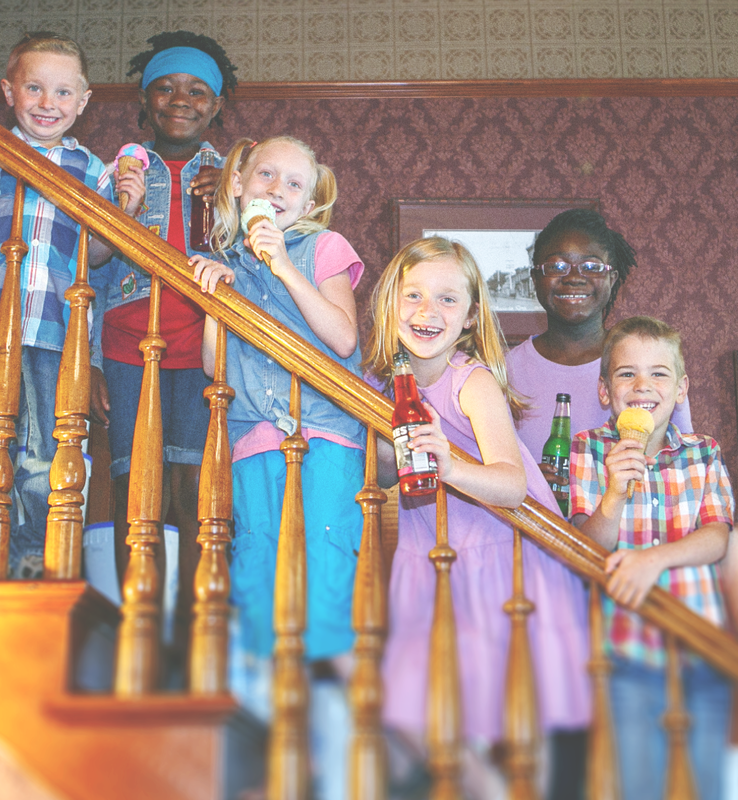 You can help sustain Reavis Larson’s mission – and get a delicious treat at the same time — by visiting Serendipity soon. In addition to our own mission to provide employment to adults experiencing developmental disabilities, we also are working hard to support other non-profit organizations in our area. We regularly partner with other non-profits in the community to raise awareness and funds. Like us on Facebook and get the inside scoop on all the latest events, promotions and our fundraising partners. 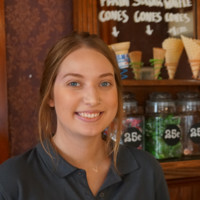 Krystal is our Happiness Manager and on-site Sweetness Trainer.